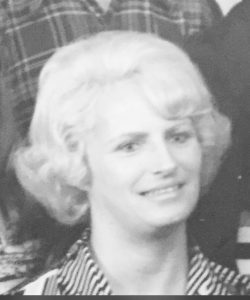 Carol M. Bjornson, 81 of Merrimack, NH died Tuesday June 14, 2016 in Naples, FL after a long period of declining health. She was born on Dec. 19, 1934 the only daughter of the late Stewart A. and Florence M. Nash. Before retirement, Carol was a longtime letter carrier for the United States Postal Service in the town of Merrimack. Carol has been a resident of Merrimack since 1966 and spent many winters at her home in Bonita Springs, FL after her retirement. Carol was an avid Bridge player, playing Bridge with her friends in many Bridge Groups in Merrimack, Bedford, NH and Bonita Springs, Florida. In addition to her parents, Carol is the widow of Robert F. Bjornson who passed away in May of 1997. She was also predeceased by her two brothers, Steve Nash of Hull, MA and his wife Joan (one of Carol’s dearest friends), and Richard A. Nash of Merrimack, NH, along with a grandson, Robert John "Jack" Pacl. Members of her family include a son Robert C. Bjornson and his wife Kathy of Merrimack, a daughter Janice M. (Bjornson) Pacl and her husband Bob Pacl of Harvard, MA; five grandchildren, Abbey & Kristin Pacl, Brian Bjornson, Chris Signor and Diana Murphy; one great-granddaughter Summer Murphy; and many nieces and nephews. Calling hours were in the Rivet Funeral Home & Crematorium, 425 Daniel Webster Hwy, Merrimack, NH Monday June 20th, 2016 from 6-8 PM. A Mass of Christian Burial was celebrated in Our Lady of Mercy Church, 16 Baboosic Lake Rd, Merrimack, NH Tuesday June 21st at 10:30 AM. Burial followed in Edgewood Cemetery, Nashua, NH.